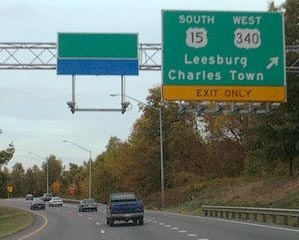 Note: US 340 is signed east-west only in Maryland. 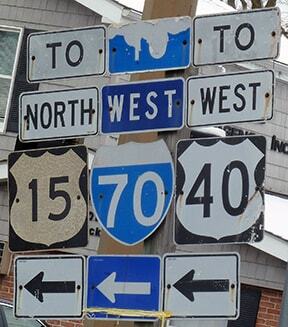 It is signed north-south in Virginia and West Virginia. Photos and more info are available on the m-plex.com US 340 page. The 1927 map showed US 340 ending in Winchester (jct. US 11). The 1928 map showed US 340 ending in Millwood (jct. US 50). The 1933 map showed US 340 ending in Boyce (jct. US 50). 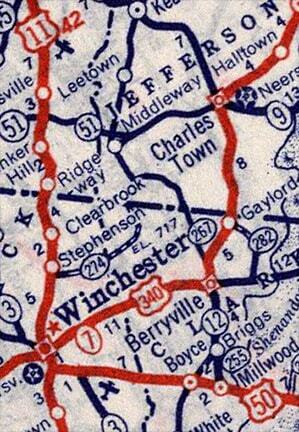 The 1936 map showed US 340 ending in Winchester again. 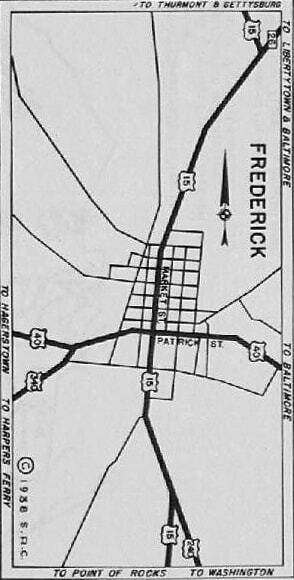 So the exact route(s) of US 340 during those early years is unclear; the vahighways.com US 340 page is a great source of information regarding this. 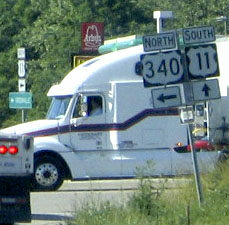 All during those early years, US 340 could be considered to run east-west, so its number (implying an east-west branch of US 40) made sense. 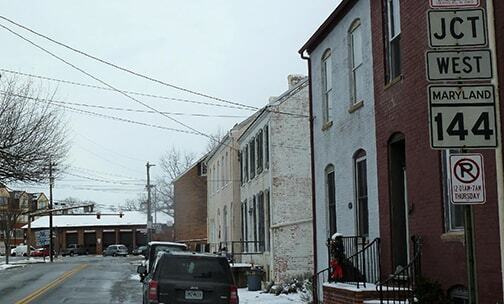 But then in about 1954, US 340 was truncated at Berryville and rerouted to go through Boyce. But this time it was extended far to the south of US 50, essentially running all the way through the Shenandoah River valley. 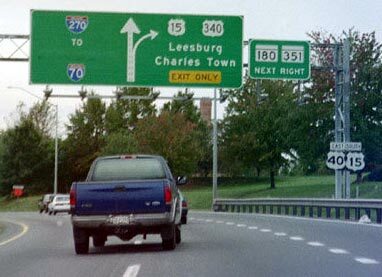 It was probably at this time that signage on US 340 in Virginia was changed to north-south. 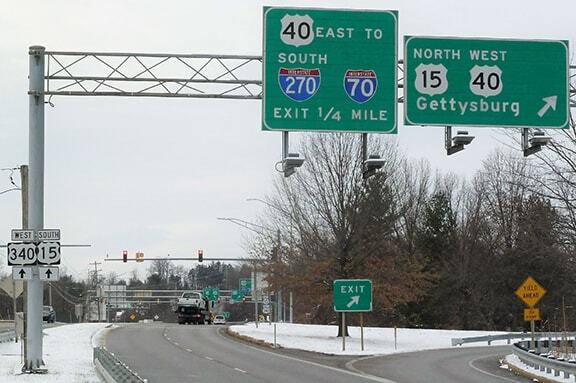 The number of the route should have been changed too -- US 115 would have been a reasonable choice. But that did not happen, and ever since then US 340 has been one of a small percentage of US routes whose number belies its direction. ...and the unusual arrow sign in the distance said "KEEP RIGHT". 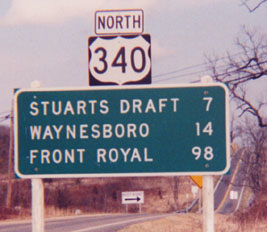 That was because, prior to a realignment that took place in about 2000, US 340 had a slight bifurcation there, and the sign was related to that. This was very close to interchange 213 on I-64/81 (just south of Staunton). last updated Feb. 13, 2019.